WASHINGTON — An attempt to smuggle explosive and arms from Bahrain into Iran and Syria was foiled by Bahrain security forces this past week. Reuters reported that Bahrain said the operation stopped the smuggling operation which would have taken place by boat and was announced this past Monday. 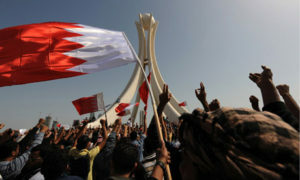 Bahrain is the home of the U.S. Fifth Fleet and has seen an uptick in unrest since February 2011, where protests by Shi’a Muslims in Bahrain tried to demand concessions from the Sunni Muslim ruling family. They wanted an elected parliament, which the royal family declined to do.